This post is in partnership with NOW Foods. All opinions are my own! Honestly, I don’t really like pumpkin seeds, or pepitas as they are affectionately called. They’re not my favorite seed and I don’t really like it when they’re added to things like smoothie bowls when I get them. This pumpkin seed butter, however, is a different story. You may remember my foray into pistachio butter (which is delicious and you should make immediately). That came about by my hunting around in my pantry, finding a giant bag of pistachios, and wondering if I could make them into spreadable gold. When that recipe turned out so well, I decided to see what other atypical things I could grind down to butter. I found a lone mason jar of pepitas in the back of the pantry and a new mission was born — pumpkin seed butter. As I typically do when I come up with crazy food ideas, I consulted the internet to see if sane people did things like this and just like pistachios, THEY DID. One thing that I’ve never liked is added oil to nut or seed butters. It was big part of why I started making my own at home (as well as the cost! ), because I had control over what went into the final product. I still see many online butter recipes calling for added oil, sometimes up to 1/3 of a cup. If you simply let your food processor run long enough, there’s no need for oil as you can see from the beauty below. One thing I do always add to my nut (and now seed) butters is a sweetener of some kind. More often than not it is maple syrup because I love it and I keep 213564567 gallons of it around the house. 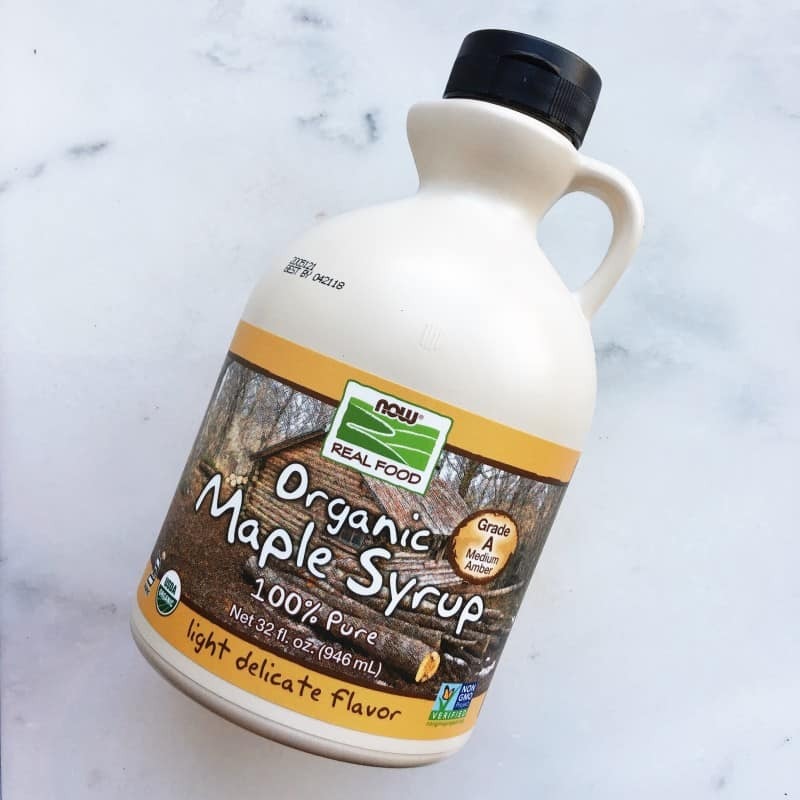 Ever since touring the NOW Foods facility earlier this year, I’ve been using their maple syrup since they are a company I really like and this stuff is BOMB. 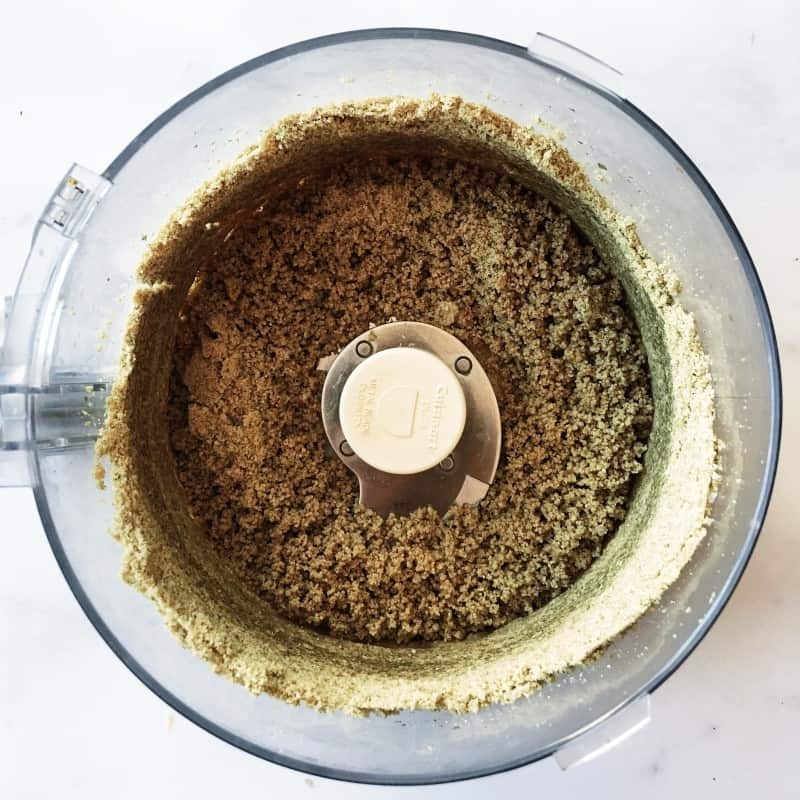 Only one tablespoon is enough for an entire recipe and helps round out the flavors of whatever nut or seed you choose to use. Before we are out of fall entirely (which seems to be never), I want to share this recipe with you. I know I make a ton of different butters, but they are so delicious and so easy to make and I want everyone to jump on the homemade train immediately. 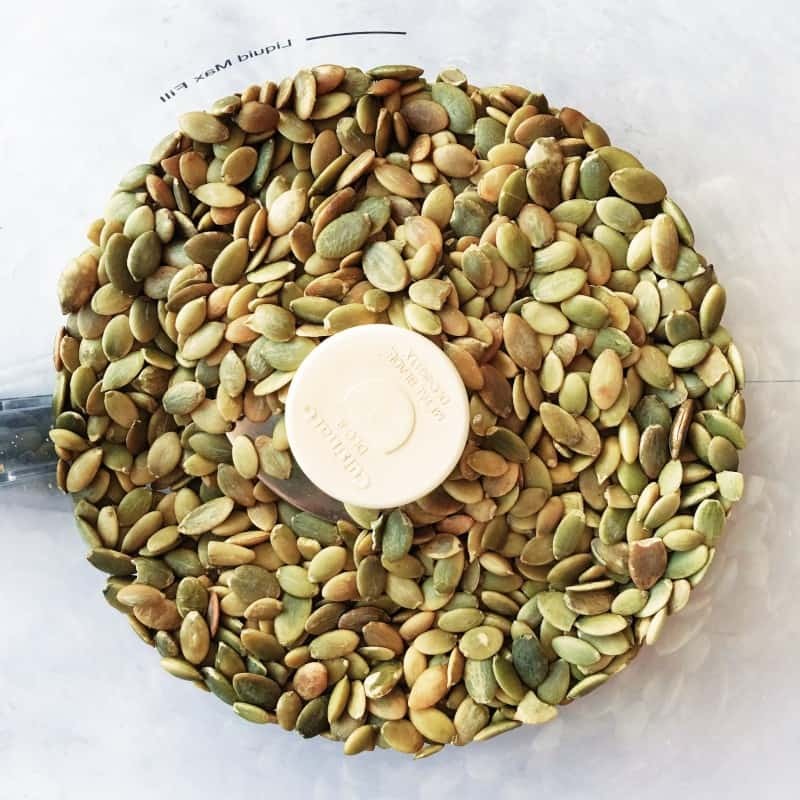 Preheat the oven to 350 degrees F. Line a baking sheet with parchment paper and spread the pumpkin seeds out into an even layer. Roast for 8-10 min. Place seeds and salt in processor and turn on. Leave running until the seeds begin to break down into a smooth butter (~10 min). 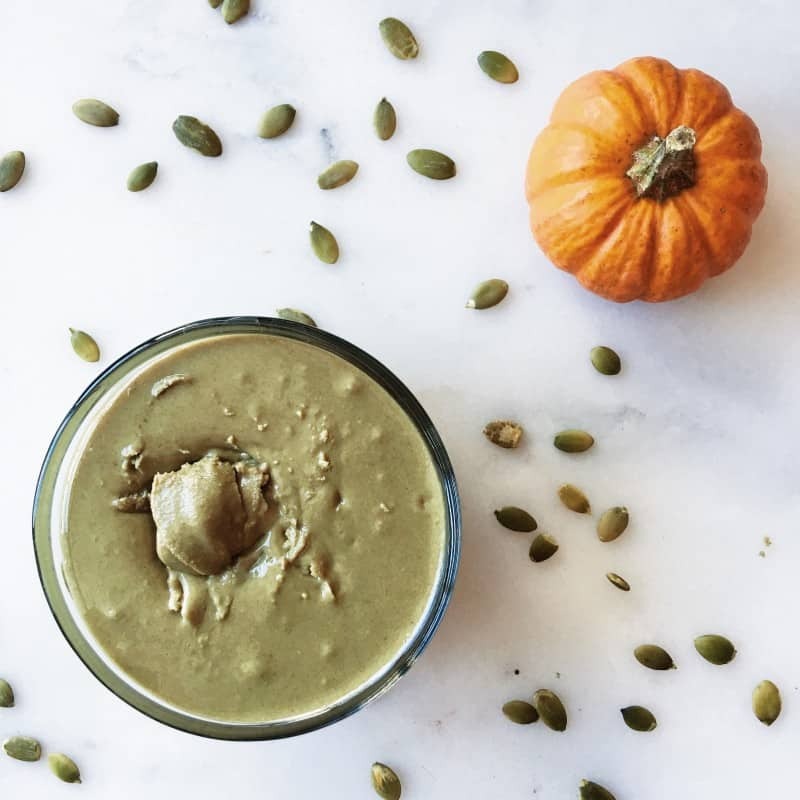 Have you ever had pumpkin seed butter? What other nuts/seeds should I use next?? I need to get start making my own nut butters but I keep forgetting. And now I’m imagining thousands of jars of maple syrup all around your house. I haven’t had pumpkin seed butter yet (I don’t think). But I’m sure I would like it. I seem to like seed butters more than nut butters, by and large. 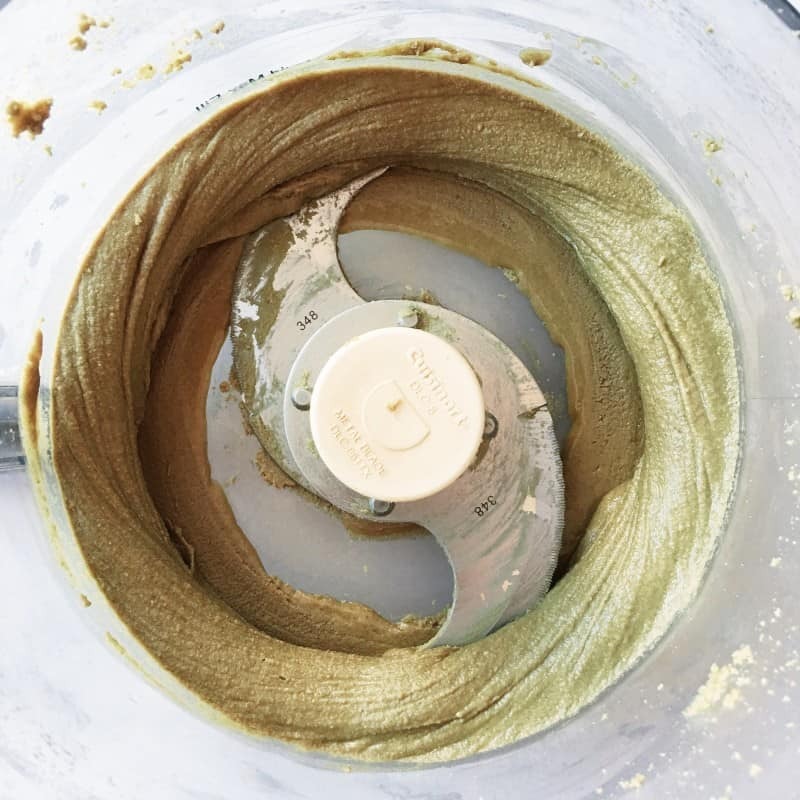 I would love to start experimenting with making my own nut butters. 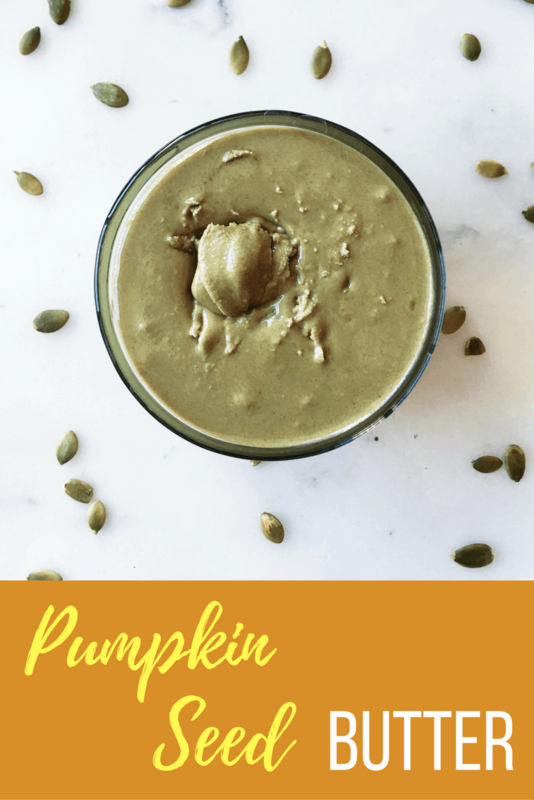 This sounds so good, I am not a fan of regular pumpkin seeds but I have had pepita seed butter and definitely liked it! i cant believe you dont love pumpkin seeds!! whenever i make a salad, oatmeal or smoothie bowl, they’re basically my first topping. this butta looks so creamy, i for sure need to give it a go. Gross. You can have mine that aren’t in butter form. Yum I’ve never had pumpkin seed butter! I wouldnt expect it to be so creamy as peanuts or almonds! I dont really like them plain much either. I do like them sometimes in a trail mix with spices! If they’re mixed in it’s fine but I find them pretty bland and annoying. This butter is super good though! Thank you for the reminder that it takes a lot of patience for it to turn into liquidy nut butter; I think I’m often just not patient enough. I just made my first batch of homemade nut butter (pecan!) the other day and it was GAME CHANGER. I never realized how easy it was. Pumpkin seed butter is actually next on my list, so I may have to give this one a try. Looks delish. Pumpkin butter, what a great idea. I still need a food processor. Someday i will get one and can make my own nut/seed butters. Doooo it. It’s a life changer!